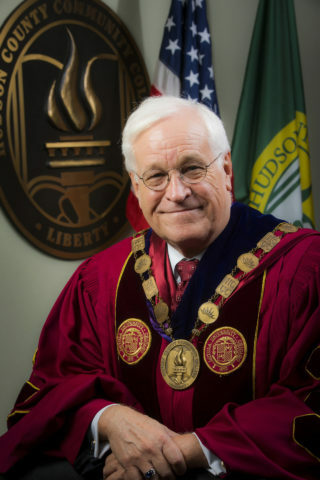 Mr. Netchert said that at the time Dr. Gabert was installed in 1992, he was the fifth president or acting president to serve Hudson County Community College in three years. The College had experienced interventions by the New Jersey Secretary of Higher Education and Middle States. The Board of Trustees had been asked to resign. There were discussions about dividing HCCC between two nearby county colleges … or closing it altogether. There was little confidence for HCCC within the institution and the community, and that manifested itself with a total enrollment of just 3,076 students.